This post for Southwest Bacon and Caramelized Onion Quiche is sponsored by Safest Choice Eggs. As always, all opinions and recipe are my own. Thanks for supporting the brands who support Shared Appetite! 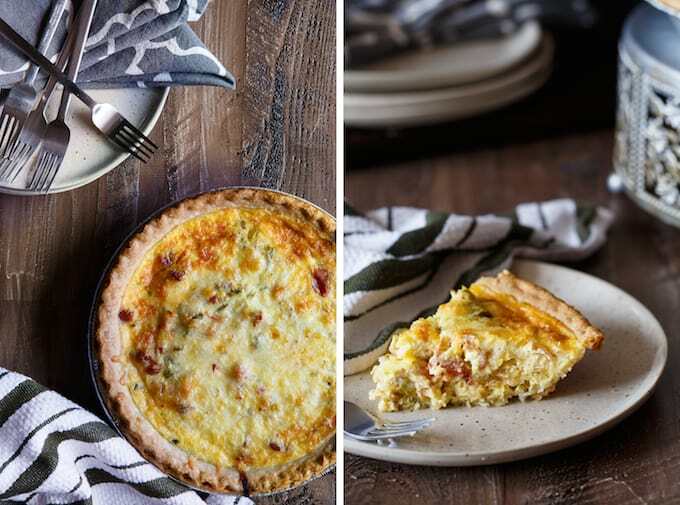 Packed with corn, green chiles, and pepperjack cheese, this Southwest Bacon and Caramelized Onion Quiche will turn your brunch into a flavor fiesta! Hey, May. I can’t wait for you to get here. Because when you come to town, I know I can count on a couple things. The weather will finally stop being a jerkface. Flowers and trees will remember its finally time to wake the heck up. And… just around the corner is Cinco de Mayo and Mother’s Day. It’s no secret I’m pretty obsessed with anything that even mildly resembles Mexican and Tex-Mex flavors. Thus, Cinco de Mayo is hands down my favorite non-major holiday of the year. And we can thank my mom for that. She got me hooked on the flavors early in life, as she’s quite famous within the vast circles of our immediate family for her chicken fajitas (which is really just out of some generic, random cookbook she has stored in the cabinet). It used to be a weekly staple in our house… and even to this day, if she wants my brother and I to come over for dinner, she’ll lure us in with those darn fajitas. So since Mother’s Day is just a few day’s after Cinco de Mayo, I wanted to create a brunch recipe that celebrated the flavors my mom brought to the table each week. 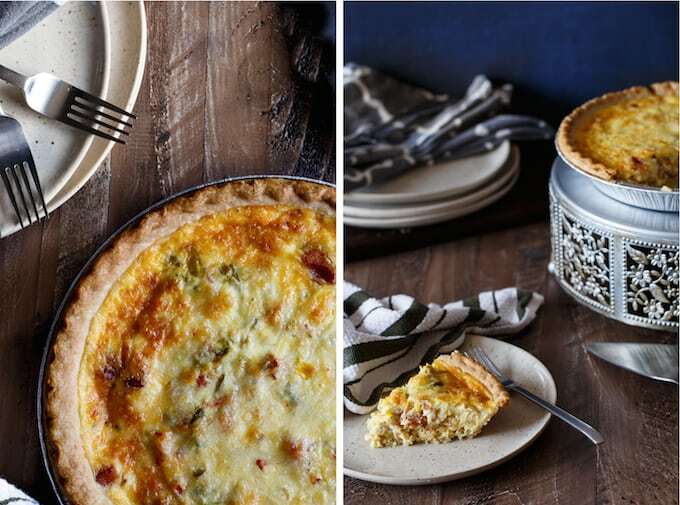 Something like this Southwest Bacon and Caramelized Onion Quiche with Corn, Green Chiles, and Pepperjack Cheese. It’s basically a giant flavor fiesta for your pie hole. Cue the mariachi band. Have you ever seen one of those #pinterestfail round-ups? If you haven’t… you need to. They are freaking hysterical. I had one of those at one point, and it involved a quiche. Mine looked more like soup in a pie-crust bowl. Since that day, I kinda had a fear of making homemade quiche. But this one is totally fool-proof. It’s super easy. Super quick. And you’re pretty much guaranteed an epic quiche experience. 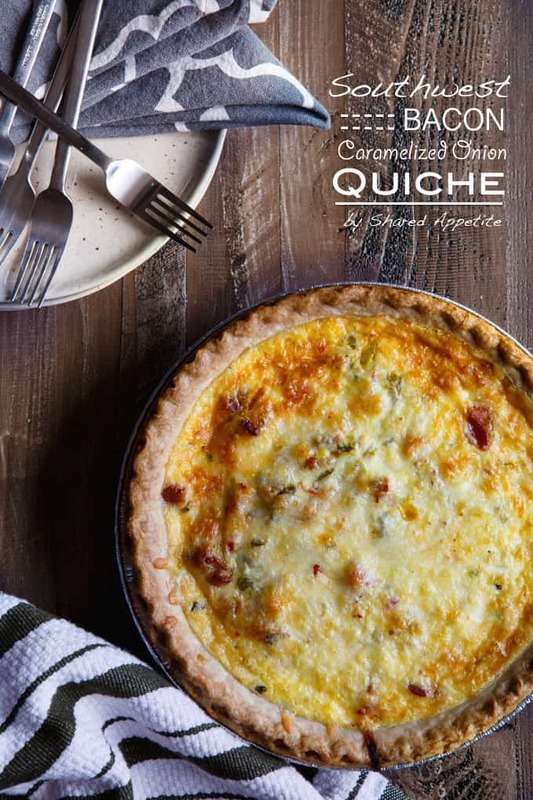 You can grab the recipe for this Southwest Bacon and Caramelized Onion Quiche over at Safest Choice Eggs! You seriously killed the quiche game with this!!! 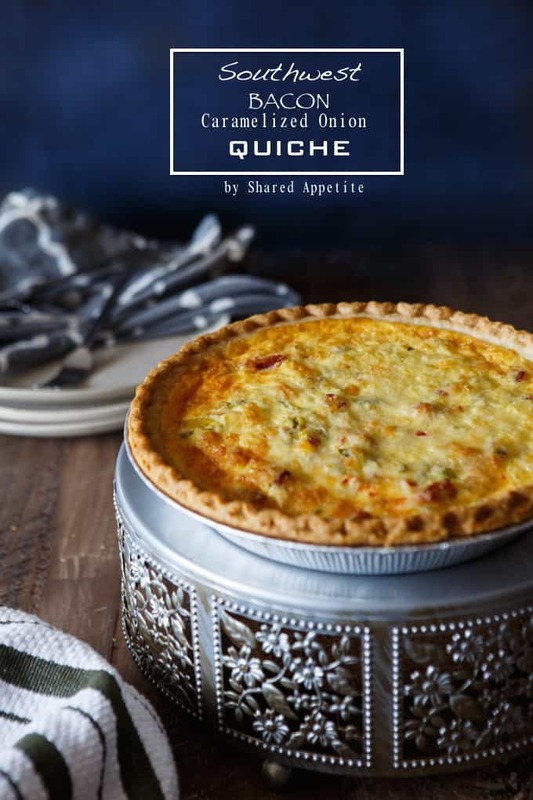 Love quiche – it’s definitely one of my favourite recipes to make. This looks delicious and absolutely perfect, Chris! Love that caramelised onion! Thanks for sharing! I’ve been wanting to try making quiche but keep hearing how finicky they can be…and let’s be honest – no one wants a mediocre quiche, right? This one, however, looks fantastic, and I’m so glad to hear you say that it’s fool-proof! I’m totally with you. I was the same way… but I promise, this sucker really is SUPER easy! This is quiche perfection Chris!!!! This is one seriously epic quiche, Chris! Hahaha even a wolf has to get his bake on once in a while! This quiche? UMM YES PLEASE. Southwestern for breakfast is totally my new favorite. Pinning! Thanks man! And yea, it’s secretly dude-food approved! Thanks Beth! Yea, it’s super easy to whip together… I’ll never buy a store-made quiche again! Love this quiche! It’s absolutely perfect for Mother’s Day or Cinco de Mayo!